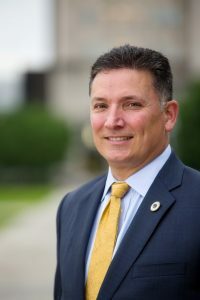 John Schroder was elected State Treasurer on November 18, 2017. As Treasurer, he oversees $6 billion in investments, over $38 billion in cash flow, chairs the Bond Commission and returns millions of dollars in unclaimed property to citizens. He was elected to the House of Representatives in 2007 to represent St. Tammany and Tangipahoa Parishes. John is a Southeastern Louisiana University graduate and U.S. Army Veteran. He is a businessman, co-owner of a real estate company, and a residential developer. He and his wife Ellie have been married for 33 years.